The Goatee sets the foundation for many facial-hair styles and it can be the perfect animal to deal with different face and chin shapes. It can add length to any face and enhance a soft jawline. When worn in a wider form, occupying more territory beneath the chin, it can help minimize a more pointed chin. Shave your cheeks and throat clean. 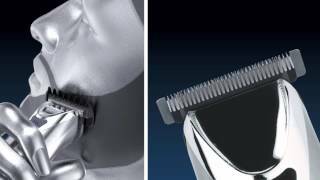 Using your Wahl® trimmer, remove your chin whiskers, leaving hair only on the region below the boundary of the mouth. This hair may be trimmed short or groomed to a longer point. 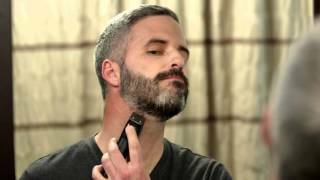 Shave below your lower lip, removing the Soul Patch whiskers. Clear the area between the corners of your mouth and the chin, forming a sharp boundary where your chin whiskers begin.